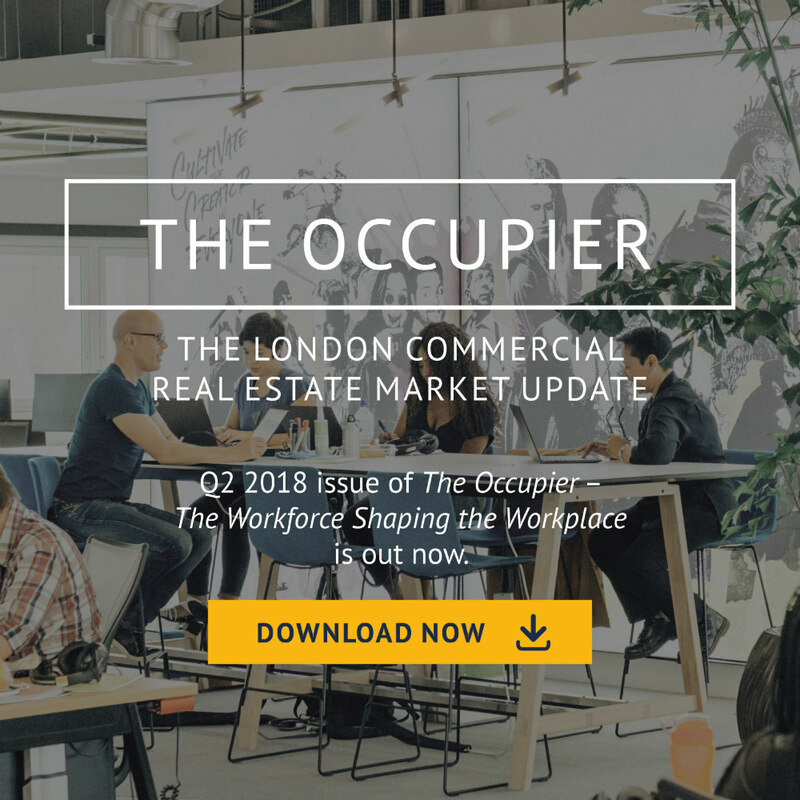 Home»Q2 2018: Could the Law Hold Back Your Workplace Evolution? COULD THE LAW HOLD BACK YOUR WORKPLACE EVOLUTION? With the workplace becoming more flexible in every way – Belinda Solomon, a Partner at Brecher LLP explains how the very inflexible legal interpretation of the Landlord and Tenant (Covenants) Act 1995 could be standing in your way. Breaking up is hard to do…well not just breaking up, moving out, reorganising, downsizing. All the things which mean you have to get rid of the lease you have. Or if not get rid of it, try and reduce the amount of space you have. Woody Allen said “When I was kidnapped, my parents snapped into action. They rented out my room.” Obviously that is a joke but in reality (and in commercial premises) that would not be so easy! Occupiers with a rack rent lease must be aware that it is not always as easy as you think to get rid of the property. And internal corporate restructuring can be absolutely impossible if you need to move the property within the group. I do not want to be the harbinger of doom. It is perfectly possible to assign or underlet. Some tenants even manage it with the minimum of fuss. In some ways, things have improved since the old days of original tenant liability – when the first tenant could be called upon at any point in the term to pay the rent of a defaulting assignee or even be forced to take the lease back. This was obviously a far more onerous liability in the days when most commercial leases lasted 25 years than it would be now, when the average term is around 7 years. Nowadays it is not the case that an original tenant needs to be bound for the whole lease term. A landlord may only require a tenant to be responsible for the assignee to whom he assigns the lease. Which seems fair. Who knows what sorts of tenant your successors may find! All that may be asked of an outgoing tenant under the Landlord and Tenant (Covenants) Act 1995 (Covenants Act), is known as an AGA - an authorised guarantee agreement. The Covenants Act carved out from the abolition of original tenant liability and the right for the landlord to obtain one guarantee from the outgoing tenant for the performance of his assignee. So far, so reasonable. That’s where it ends I’m afraid. The Covenants Act which was intended to deal with an excess of liability for tenants and their guarantors, has created a monster. In the attempt to ensure that the liability of tenants and guarantors was never so onerous again, the courts have interpreted a number of cases in such a way as to make commercial reorganisations all but impossible. This series of cases with EMI Group Ltd v O & H Q1 Ltd ended in 2016. As a result, of this series of cases, a tenant cannot assign to a group company guaranteed by the same parent company, and assignments by tenants to their guarantors are impossible and treated as being void. For these purposes, that goes for guarantors under the lease or under an AGA. This state of affairs has caused consternation amongst the legal property community as it now appears that statute has prevented this type of transaction from happening, which is frequently requested by companies. Of course, the Law Commission would remedy that obvious error wouldn’t they? Apparently not. The fact that the law had made a mistake which seems to benefit nobody and worry everyone, is not enough for them and they have rejected the many calls to deal with this. More of an irritant than a problem is the need to obtain a licence from the landlord for any assignment or underletting. It shouldn’t be, as the law is fairly clear in most cases that the consent may not be unreasonably withheld or delayed. However, I am sad to report that this is very often not the case. A rule of thumb on timescales is that the licence process should be about 4 weeks. That excludes complex issues or cases where there are other parties involved whose consent is needed. But for your bog-standard consent request, 4 weeks should be sufficient if you supply all the relevant information upfront. In all my years of acting for occupiers, I can honestly not think of a single instance where I have managed to get a licence in 4 weeks. Even in cases where one landlord told me he’d bite my hand off if I offered him the proposed assignee as his new tenant. Even where my clients had a 999 year lease and there was almost nothing the landlord could do to prevent us doing what we wanted. Unfortunately, quite often, solicitors are to blame for the delay. Landlord clients are too, but my worst experiences are with their lawyers, who seem to enjoy the fact you need something from them and rather than being cooperative, adopt a very different approach. Just this week, a partner at a City firm told me that he did not need to follow the law as his delay was market practice. In spite of his resistance to verbal pressure, it seems that this did in fact do the trick and things are now moving. At this stage, I should point out that a landlord is perfectly entitled to refuse a request for a licence if preconditions are not met (however unreasonable they may be) or there are other reasonable objections. To be fair, licences are often pushed down to the most junior lawyers and paralegals who may not have enough supervision. So what’s the conclusion? Don’t reorganise your company? Have more than one parent company? It’s not easy. If you are able to provide a rental deposit or bank guarantee rather than a parent company guarantee, that may help down the line, especially if group reorganisation is a possibility. If rather than reorganising, you just want to assign or underlet, there are often numerous conditions to satisfy but if the covenant strength of the assignee or undertenant is ok, I am sure it can be done. Just be prepared for some delays with the landlord’s consent – but if you do need any help, I’m great at nagging.